Google Play is the website to add the latest Android apps to your tablet or phone from. Now Google has updated that site with Best of 2015 pages. In those pages Google has selected the best Android apps and games of the year along with other media. At the top of the page is a hyperlink to the Best Games of 2015. The page includes thumbnail links to the game pages. Among them are games such as Clash of Clans, Need for Speed, Lara Croft Relic Run, Football Chairman Pro, Star Wars Uprising, Flight Pilot Simulator, Mortal Kombat, Hook and more besides. I have been playing a few of those such as Empires and Allies. That is a modern military strategy game in which players deploy their arsenals to wipe out terrorist bases with. In addition, Candy Crush Soda Saga, the sequel to Candy Crush, is another fun title listed among the top games of the year. Below the game listings are the Best Apps of 2015. That includes a range of productivity, multimedia and photography apps for the Android. Google has selected apps such as Retrica, Star Wars, Google Photos, YouTube Gaming, Adobe Photoshop Lightroom, Candy Camera, the Weather and Microsoft Word among the top Android apps of the 2015. In addition, Google has also included top-selling lists for other media on the Play Store site. The lists include the top-seller movie, music and books of the year. Just below that are favorite album, movie and book listings from Google. The Indian variant of Google Play also has best of lists, but they are not entirely the same. That includes Android games such as PAC-MAN 256, Piano Tiles 2, Ski Safari 2 and Sonic Dash 2: Sonic Boom among the top titles of 2015. Among the best apps are Truecaller, Saavn Music & Radio, Toca Kitchen 2, Candy Camera and Cricbuzz Cricket Scores & News. So those are a few of the best Android apps and games to check out. As of yet, Apple has not selected its best iOS apps or games of 2015 on the iTunes site. 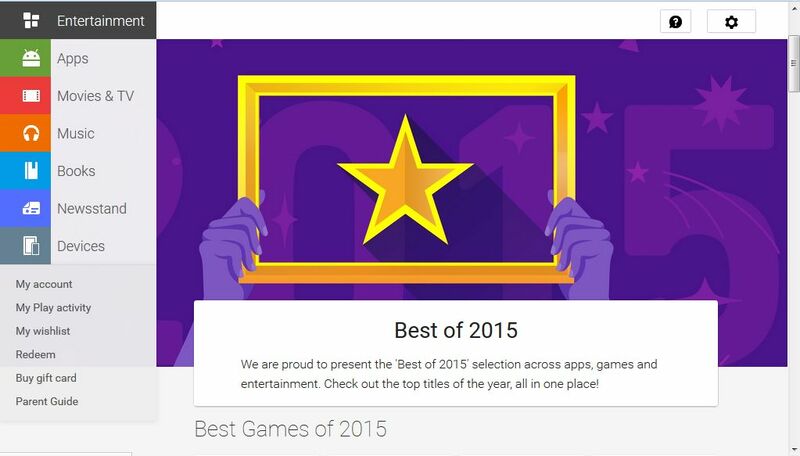 You can, of course, find further details at the Play Store’s Best of 2015 page.